On-premises contact centre solutions have long been a staple of customer engagement platforms. However, as companies look for innovative ways to transform operations, many see migration to the cloud as the approach of the future. Contact centres struggle with legacy on-premises technology that was not designed for the age of web sites, mobile phone applications and social media. It can be nearly impossible to get a single, coherent picture of customers or their journeys also due to fragmented databases and functionality resulting from multiple acquisitions and past installations of point applications. The cloud is already gaining ground in the core contact centre market. Genesys estimates the adoption rate will double by 2020, reaching as much as 35% of the installed base, up from approximately 15% in 2016. Infrastructure conditions, regulatory limitations and overall legacy system maturity result in different rates of cloud adoption across regions. The largest contact centre market, North America, led cloud adoption in 2017 with 3.7 million seats1. It is continuing to move downward into midmarket and smaller businesses. Similarly, the Genesys cloud customer engagement solution, PureCloud, is showing upward momentum in Canada with more than 70% growth in its install base in the last six months, according to Genesys’ internal data. Multiple factors influence the pace of contact centre cloud adoption, including the business context, workload characteristics and IT environment. The shift to cloud shouldn’t be surprising. As customers demand new forms of engagement across multiple digital channels, robust cloud platforms that simplify operations and help achieve faster time to value become a must-have. Cloud platforms offer a wide range of benefits that let companies modernize contact centre operations quickly and inexpensively without requiring new hardware. One of these unique advantages is the flexibility to dramatically scale upwards or downwards, allowing organizations to become agile while having the tools to ramp up to meet seasonal, hourly or regional needs. Other cloud benefits include state-of-the-art security, automatic software updates and pay-as-you-go models, which curb operating expenses and eliminate the need for large up-front capital outlays. By re-fashioning legacy contact centre systems, customer experience managers can benefit from the cloud in several different ways. Since the cloud offers the ability to store vast sums of customer data, agents can deliver more personalized customer experiences by drawing on information about consumer behaviour. Personalization saves time, increases loyalty and contributes to more seamless customer journeys. The shift to the cloud also coincides with the adoption of omni-channel customer experience solutions. Through transitioning to the cloud, even small organizations can provide reliable service no matter what channel the customer uses – whether by phone, email, chat or text. Additionally, the development of advanced analytics and machine learning has allowed organizations to better identify customer trends and save time during customer interactions. By analyzing data from buying behavior, for example, artificial intelligence (AI) can transform information into insights and then act to create personalized interactions between companies and individuals. As analytics are applied to data in the cloud, organizations will improve their ability to predict consumer behavior and empower customers to serve themselves without the constant aid of live agents. Switching contact centre systems is time-consuming, expensive and disruptive though. Because many organizations consider customer service to be a cost centre rather than a revenue source, they hobble along as best they can. However, failing to invest in modern contact centre technology is a big risk considering customer experience has become essential to business success. Cloud computing offers limitless scale, broad functionality and the ability to deliver customer support in all channels. Organizations looking to the future need to take advantage of cloud-centric, omni-channel contact centres to drive loyalty, referrals and new revenue. 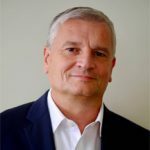 Olivier Jouve is the executive vice president of PureCloud for Genesys, the global leader in omni-channel customer experience and contact centre solutions. He is based in Durham, North Carolina, and can be reached at Olivier.jouve@genesys.com or @OlivierJouve. Genesys has its Canadian offices in Montreal, Quebec, Saint John, New Brunswick and Markham, Ontario.